In a row of Lamborghinis and looked like a Diablo at first glance. A look at the rear revealed the A610 rear lamps and its true identity! Weirdly this V16T was built for the Sultan of Brunei and has a V12 Ferrari engine instead of the V16. and how did you get into his garage? Small collection near my hotel in California. Nice, when I stayed in LA, the Peterson collection was the local draw for me. I since find out that they "use" the cars, like they do at Beaulieu. Apparently the Cizeta Moroder can still be built new to special order in California!! In the garage this afternoon working on the A110 and listening to the Steve Wright programme on Radio 2. 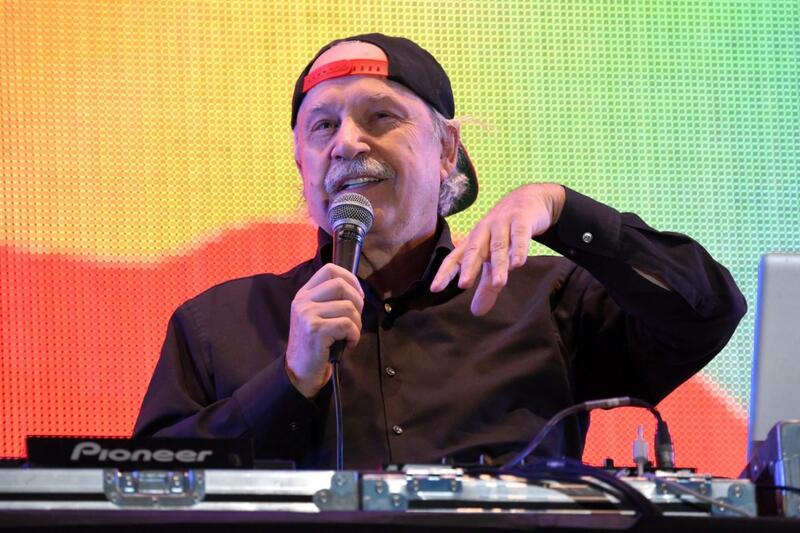 Steve had Giorgio Moroder in the studio talking about his music and forthcoming UK tour. Giorgio also talked a little about his personal Cizeta and how he had recently had it made road legal for driving in the US. Joking apart I wonder where they get the rear lights from or do they have a stock pile?